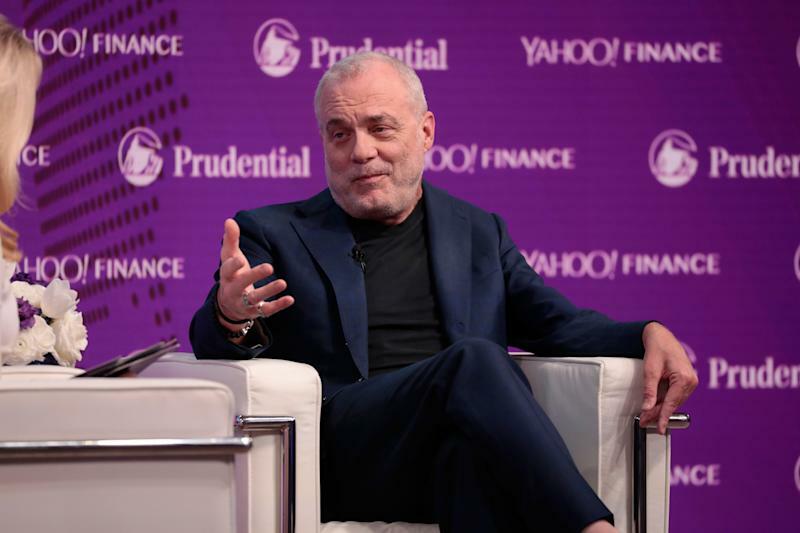 Former Aetna CEO Mark Bertolini says folks should spend more time watching Amazon specifically than Haven — the joint venture among Amazon (AMZN), JPMorgan Chase (JPM), and Berkshire Hathaway (BRK.A, BRK.B) — when it comes to health care. “[Amazon CEO Jeff Bezos’s] move to do HSAs and FSAs through the cloud on his site is a bigger deal than anything Haven's done," Bertolini said in an interview with Yahoo Finance. "His idea to go buy PillPack is not about buying drugs. It's about getting into the home." Bertolini's thesis around addressing rising health care costs is about working with patients in the home before they become sick. "We can do more in the home around providing services, nutrition... I can prove it economically. You can take care of people's transportation, food, fuel, and socialization in the home, particularly seniors, for cheaper than it is for one or two [emergency room] visits," he said. The U.S. spends more on health care among the other OECD nations, but still falls behind. Bertolini argues that part of the reason health care in the U.S. is so expensive is that the current system doesn't address social and environmental factors or individual behavior. Presently, health care in the U.S. is like a "warranty system" that waits until people are "broken" to fix them, according to Bertolini. "It's a warranty system today," Bertolini said. "You get a warranty card when you join a health plan. If you get broke and present yourself to the nearest dealer, we'll fix you at some cost. It's not free. And so we have to change that model to what are we doing in the community." This is part of the reason Aetna, the third-largest insurer, merged with CVS, the drugstore retailer that also operates walk-in clinics and a pharmacy benefit manager. "This is why we did the CVS (CVS) deal. We got to do something in the community where we can get people into the stores, have the stores reach out to the community as a way of finding better ways to take care of people, keeping them away from the system," Bertolini said. CVS operates 9,000 stores within 3 miles of 80% of the American public. Amazon, JPMorgan Chase, and Berkshire Hathaway's venture Haven is led by Dr. Atul Gawande, a surgeon, professor, author, and public health leader. The goal of Haven isn’t just about making or saving money, but instead solving some of the most critical issues surrounding health care, Berkshire Hathaway’s Warren Buffett told Yahoo Finance’s Andy Serwer in a wide-ranging interview. Disclosure: Mark Bertolini is a member of Verizon’s board. Verizon is the parent company of Yahoo Finance. —Julia La Roche is a finance reporter at Yahoo Finance. Follow her on Twitter.